A Westin custom truck bed mat would make a great addition to your truck and will keep your truck bed protected. The bed mat is made out of a recycled heavy weight rubber that is 5/16 inches thick. This is heat molded for a custom fit placement and doesn't require trimming. You don't have to worry about your cargo slipping around because it has a ribbed, non-slip surface. Westin also offers a matching tailgate mat that protects your tailgate. 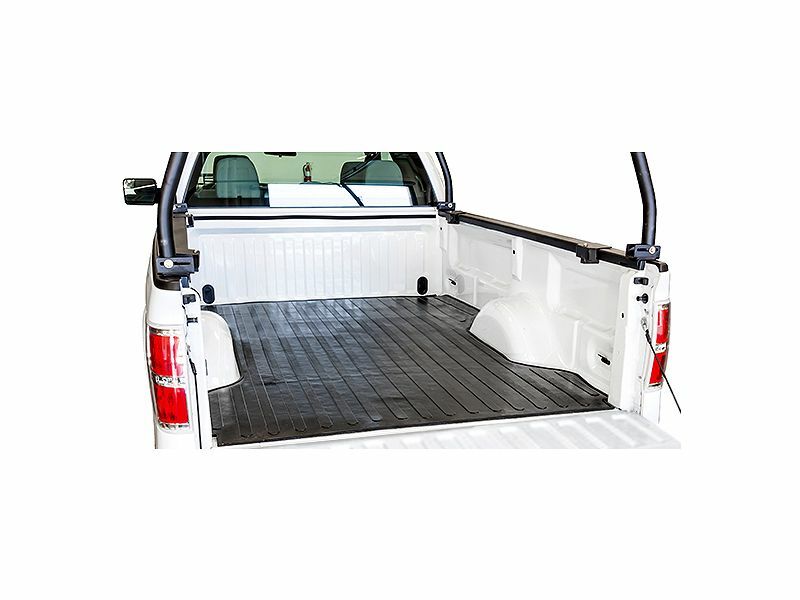 The tailgate mat is also made from recycled materials and attaches to your tailgate with the included mounting hardware. If you don't want scratches or dings on your truck bed or tailgate, get yourself a Westin custom truck bed mat and tailgate mat for your truck today! Westin is so sure you'll love your new bed mat that they offer a 3 year warranty. Your new bed mat or tailgate mat are both backed by a 3 year warranty against defects in materials or workmanship from Westin Automotive. If you would like further details or need help starting a claim, please don't hesitate to contact our customer service department. Westin truck bed mats and tailgate mats are simple and easy to install at your home without the need for any special tools. The tailgate mat includes hardware to screw into your tailgate. For additional information, or if you have any questions, please feel free to call us at any time that is convenient.